BRAND NEW SERIES! Cheryl and Jason Blossom are a pair of seemingly normal kids in Riverdale. 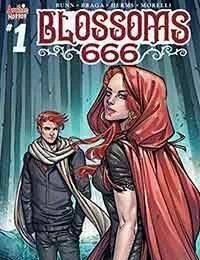 Theyre wealthy, popular and likeable—but they also harbor a deep, dark secret—one of the Blossom Twins is the Anti-Christ. Both want the title, and no one in Riverdale is safe.